Menominee County is one of the most unique places in the Midwest. 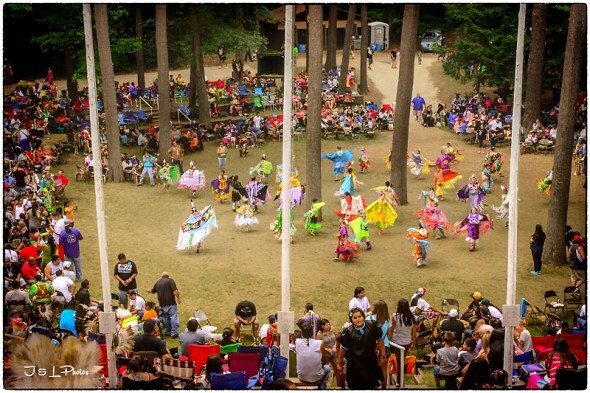 Menominee County is one of the most unique places in the Midwest. 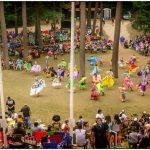 Located just 45 minutes northwest of Green Bay, this 360-square-mile area is made up entirely of the Menominee Indian Reservation. Neopit and Keshena are the two main communities in the county. Visitors driving into Menominee County will immediately notice a difference in the landscape. 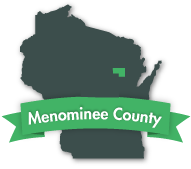 Menominee County is heavily forested. In fact, the county is home to the largest single tract of virgin timberland in the state. At 223,500 acres, it is one of Wisconsin’s great natural treasures. 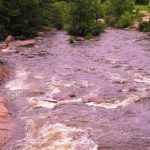 Five rivers flow through Menominee County: The Evergreen, Oconto, Red and Wolf rivers cut their way through the majestic white-pine forests. Spring-fed Legend Lake is over six miles long and is Menominee County’s main recreation area. 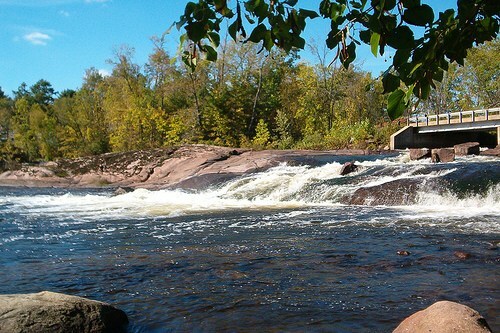 A great way to experience Menominee County is a scenic drive. Driving through Menominee County along Highway 55 or Highway 47 will give you a great view of the towering white pines that characterize the Menominee Indian Reservation. Forests such as these once covered the entire northern half of the state. 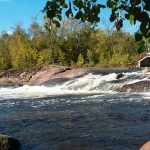 One of the most exciting paddling experiences in Wisconsin is the stretch of the Wolf River that flows through Menominee County. This segment of the Wolf is whitewater and will challenge any paddler. Access to the river in the Menominee Indian Reservation is controlled by the tribe. To paddle here, a permit must be purchased in advance. The permit includes shuttle service to the launch site and costs $25. Permits can be obtained by calling (715) 799-3359. Located in Keshena, the Menominee Casino Resort is a popular destination. The casino offers 33,000 square feet of slot machines, blackjack tables, poker tables, craps, roulette and Texas Hold’em. In addition to the casino games, the casino offers a 400-seat bingo hall. Also on the property is Crystal Palace, which features Class II gaming machines for 18 to 20 year olds. Thursdays, Fridays and Saturdays, the casino lounge features live music. Every week brings a different live musical act. Throughout the year, the casino also hosts touring acts for live shows. 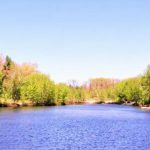 Whether you’re after an exciting paddling trip, a scenic drive or a fun evening at the casino, you’ll find it in Menominee County.